OilQuick is a global leader in fully automatic quick couplers, which are used to quickly change tools on construction equipment. Rimaster is the company’s supplier of cable harnesses and electronics, and thereby part of OilQuick’s success on a market distinguished by short delivery times and diverse customer wishes. –We see ourselves as representing the absolute highest in quality and service. So it is important that our suppliers have the same high level of quality, says Patric Lindh, purchaser for OilQuick. 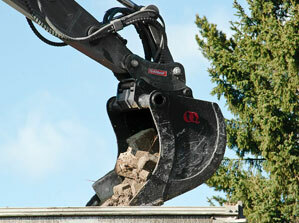 Fully automatic quick couplers are an increasingly common demand on machines in the construction industry. With OilQuick’s coupler the machine can quickly change tools in the midst of work — from scoop, to claw, to excavator, and so on. 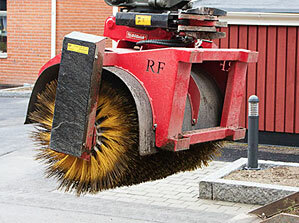 On small lots, for example, there is often only room for a single machine that needs to be able to handle multiple job tasks. With a traditional coupler the operator has to leave the machine, disconnect the tool, change hoses and connect the new tool more or less manually, which is time-consuming and thereby costly for the builder. A fully automatic quick coupler saves time and fuel and reduces environmental impact. The investment is recovered at approximately three changes per day. With OilQuick’s fully automatic quick couplers all it takes is a few buttons pressed from inside the cab to change tools. This is perfect for situations such as demolition, where several different types of tools are called for throughout the day, but there are also tool couplers for wheel loaders, fork trucks, and mobile cranes. – The oil pressure sets huge requirements on the entire construction both hydraulically and mechanically. Every year we see higher and higher pressures in all systems. This sets increasingly tough requirements on all components, but we can deliver for all machine models based on customer requirements, says Lindh. It is very special, there are no standard measurements; a lot of adjustments are needed instead. It means extensive diversification. All machines have their own special requirements. – We are the last ones on the machine. Almost at the point when the customer is choosing the color: ‘“I want the machine in yellow, and it has to be equipped with a quick coupler from OilQuick.”’ From time of order it therefore has to move quickly. Four weeks is almost too long. High demands are placed on OilQuick’s suppliers as well. – Here Rimaster has shown again and again that they can deliver, says Lindh, producing a supplier assessment that OilQuick has just completed, where Rimaster is ranked highly. When it comes to flexibility and adaptation, Rimaster is one of the absolute best. And this is an area where we have really high demands. And when it comes to quality and level of service, Rimaster is one of the best when we need an estimate right away. – The future looks bright for OilQuick, says Patric Lindh. – Turnover has nearly doubled in just a few years. We are constantly growing and have a nice development curve. Now we are looking into the possibility of becoming established in the United States and that can move quickly. I think our future will be strong. And as said, Rimaster is very good as a supplier. They are as adaptable as we are.